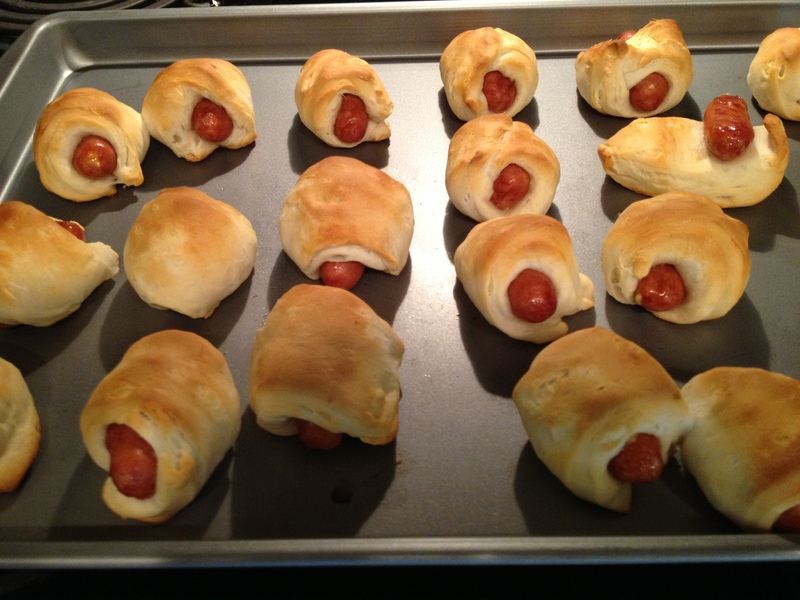 I know that everyone knows how to make pigs in a blanket, but just in case you don’t, you need to! These tiny kolaches have to be the best weekend breakfast food ever. They are also so easy to make that I highly recommend them!! Pop the can of biscuits and cut the biscuits in half. Wrap a half biscuit around each smokey. Bake at 400 degrees for 10 – 12 minutes. That’s it!! Eat them up!! You can even put them in a baggie, put them in the fridge, and eat the left overs throughout the week! 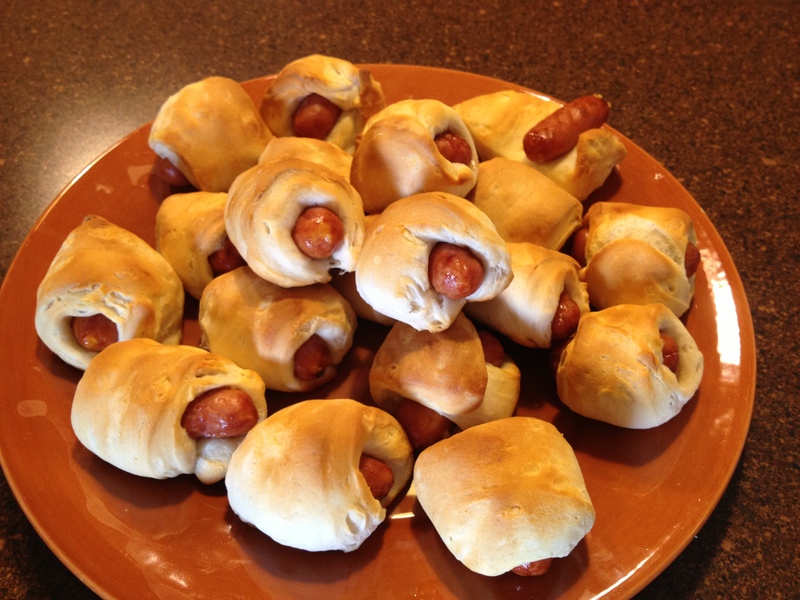 Pigs in a Blanket are a classic; they never get old!